As budgets shrink and those with a wound present more challenging comorbidities, we can sharpen our practices in order to prevent or heal wounds more effectively. Join us as we explore the tools needed to navigate that minefield. Busy clinicians often don’t have time to view the latest guidelines and science, so this information will be presented in a way that makes it easy to incorporate into your practice. Joan Junkin is passionate about skin health and wound healing, but also recognizes that caregivers need endorphins as much as patients do. Therefore, you can expect occasional doses of humor to sweeten the day, along with the best interventions, devices and modalities available. Joan will focus on methods proven to prevent or speed healing for the especially challenging diabetic foot ulcers, pressure ulcers, those related to lower extremity edema and vascular ulcers. She provides a fresh perspective to help with the ever difficult patient education and motivation. A big emphasis will be placed on infection control methods. This seminar is your one-stop shop for essentials to improve your wound prevention and treatment knowledge and skills. If we want a better outcome for wound healing, we must change our practice! Demonstrate and discuss strategies to minimize damage to high risk skin. Differentiate between skin care products and optimal use of options available. Identify and distinguish factors likely to stall wound healing. Analyze leg and foot wound characteristics of: neuropathic, arterial, and venous wounds. 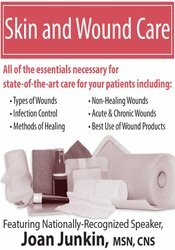 Identify characteristics of 6 categories of wound dressings. Compare and contrast 5 types of wound debridement. Outline goals for wound care in hospice and palliative care settings. Explain evidence-based pressure ulcer prevention practices and tools. Joan Junkin, RN, MSN, began her wound specialty as a research analyst for the pressure ulcer guideline treatment panel in 1992. During her 10 years as an acute care Wound Clinical Nurse Specialist, she conducted and published research and served as chair of the National Accreditation Committee for Wound, Ostomy and Continence educational programs. Joan has published articles in several peer reviewed journals and the past 10 years has presented 8 hour wound seminars to professionals in all 50 states and 4 provinces in Canada. 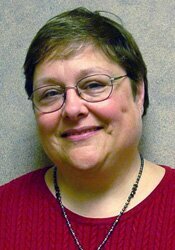 Ms. Junkin has been invited faculty at WOCN national and regional conferences and SAWC. She currently provides clinical consults for long-term care and hospice in Nebraska and teaches as a clinical associate for the University of Nebraska College of Nursing. Her extensive clinical and speaking career gives Joan a broad perspective from which to draw clinical wisdom and very practical approaches. She keeps her seminars fresh by adding in appropriate doses of humor. In a field such as wound care where scientific data changes best practice more quickly than guidelines can be published and where new products are introduced monthly, this well-grounded expert will help you focus on what will make a difference in skin health and wound care outcomes. Financial: Joan Junkin is the Owner of The Healing Touch, Inc. She is on the speaker’s bureau for Sage Products Inc. Ms. Junkin receives a speaking honorarium from PESI, Inc. Non-financial: Joan Junkin has no relevant nonfinancial relationship to disclose.